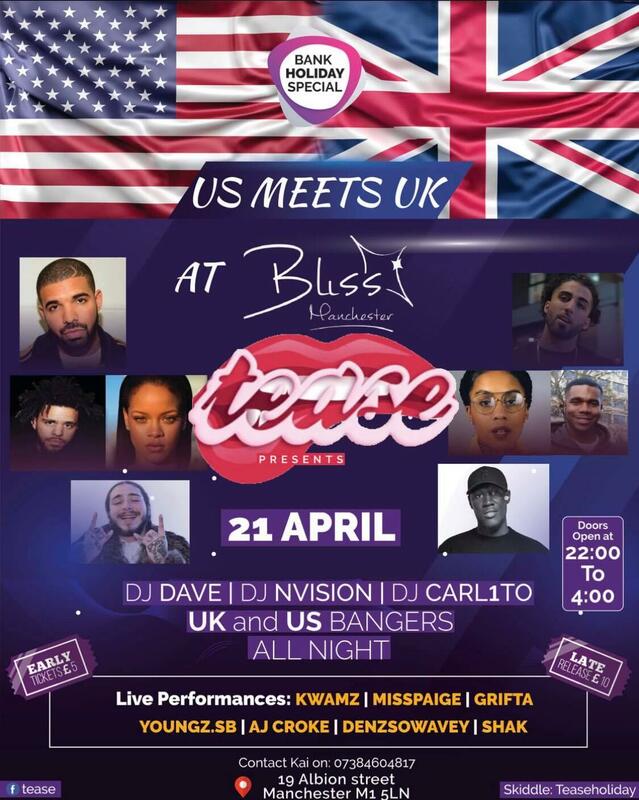 TEASE events is back with a bank holiday special (US MEETS UK )THis event will sell out. Get your £5 early bird tickets before its too late. Tease events is slowly becoming one off Manchesters powerhouse when it comes to great music and the flyest up and coming manchester artist that are guaranteed to keep you entertained in awe.